Did you watch the two GT races yesterday, the qualifying FIA GT1 race from Brno and the ALMS 6hr race from Laguna Seca? It seems to me there has never been better racing in (more or less) production derived classes, ever. GT Endurance racing used to be about saving the car, now it's just very long sprint races with cars from BMW, Porsche, Ford, Ferrari, Jaguar, Aston, Maserati, Nissan, GM going flat out for however long they need to or until they break. It amazing. Add to that, available internet streaming plus for ALMS and LM what has to be some of the best commentary in motorsports via the radiolemans.com crew, and you have a spectacle worth watching. I wish I could say the same for the top class in ALMS, but if GT classes are living a great moment, the prototype ranks are just too thin to have any kind of relevance. The Le Mans 24 hrs will be better that way with Audi and Peugeots and Lola/Astons going at it but I'm guessing just as many will tune in to see if BMW can beat Porsche and Ferrari. 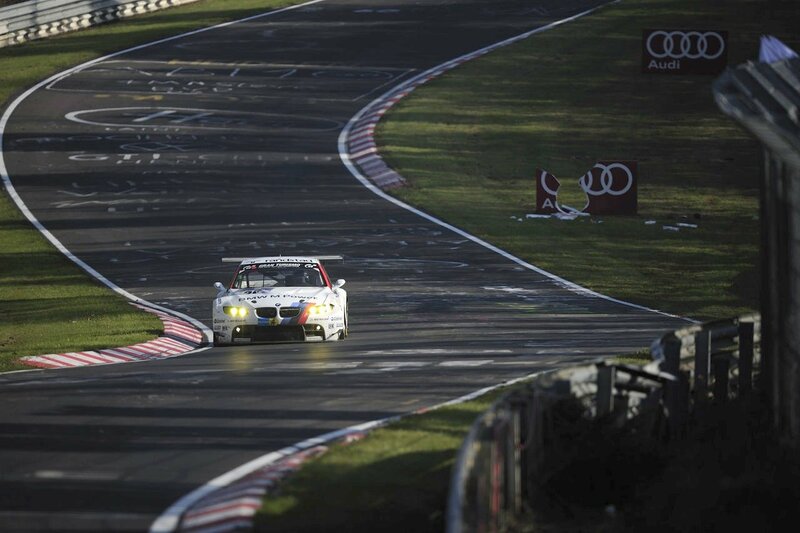 Production based racing makes a lot of sense for manufacturers, how much is this unintentional but quite significant picture from the Nürburgring 24 hr race worth to BMW in their fight against rival Audi? Priceless I would say. Make sure you have a look at the main event from the FIA GT1 series today, from Brno in Czech Republic, it is live on the internet right now HERE. Replays from past races are also available (good job FIA!). When you have a bit of time, enjoy this very cool film on the 2010 Nürburgring 24 hour; "24 Hours in 19500 frames " by Tim and Nick Hahne of Stereoscreen.de, a production company based in Duisburg. I'll be watching the 24 Hours of Le Mans for the GT class - prototypes might have had there day with the likes of Audi and the R8/R10's - but now its back to a great line-up of manufacturers for GT. You nailed it, it is a Golden Age of GT racing. Yeahh!!! GT racing is so much better than anything and also a lot more relevant. A big factor for me is that I can clearly relate to it. They are real "normal" cars, while the Wings-n-Things I find them less interesting as time goes by, while the lack of fenders and too much aero kills most of the racecraft you see in GTs. I have no problem if in the future GT1 is the pinnacle of motorsports. Also the last lap I thought the BMW was going to do the same thing the Vette did last year and punt the FL Porsche into the last corner, he was sooo close entering I thought the was going to divebomb and move him up a groove FTW. Came back from the Laguna Seca race last night, it almost felt like the LMPs were just getting in the way of the GT battles. The racing is so much closer and exciting in GT. Right now GT racing is so much more relevant, just hearing the Farraris, BMW and Corvettes race makes the LMP feel a little half-hearted.